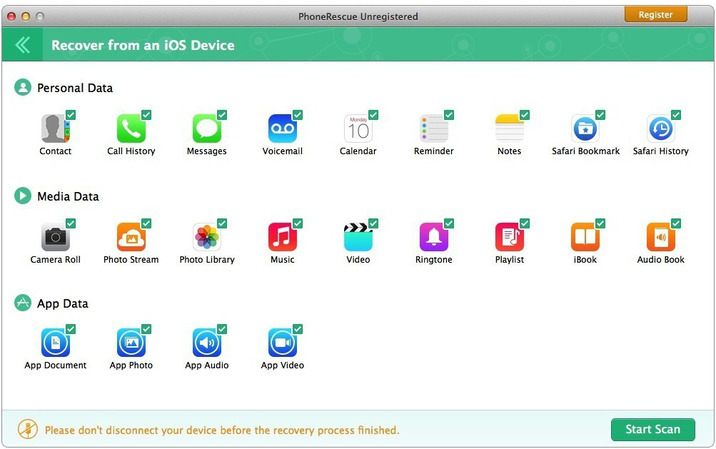 PhoneRescue is an all-inclusive iOS data recovery program designed for retrieving your lost photos, messages, contacts, music and more data from your iPhone, iPad and iPod touch. Whether you mistakenly deleted or accidentally lost anything important to you, it helps find them back. It also brings you an intuitive and simple user interface, even your grandparents can easily use it to get back all their lost data, all by themselves. More than a recovering tool, it also revives your iPhone from any iOS system problems or crashes like stuck on Apple logo, recovery more loop, black screen, and more.